The WOW series is a constant favourite with Christians worldwide, with each CD delivering the best Christian music from the past year. 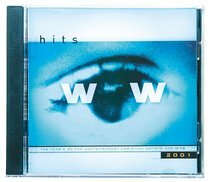 WOW 2001 features Delirious, dc Talk, Jars of Clay, Plus One, Steven Curtis Chapman and Sonic Flood. All the best on 2 CDs at a value price! "Wow 2001" represents all the best in Christian music right now. For the fifth consecutive year a unique and inter-label partnership comes together to create the most in-demand album of the year. Bringing together the industry's best artists from more than 10 record labels, Wow is a virtual "snapshot" of what is and will be hot this year in Christian music.